Jared Eickhoff got two quick outs in T1 before three hits and a walk produced two quick runs. He regrouped and kept the Phillies in the game through six innings, allowing one more run on a safety-squeeze RBI bunt by Scherzer in T4. That turned out to be the winning run in Washington’s eighth straight win over the Phillies. It matches the longest streak done five times in Expos-Nationals history. 47 times this season, the enemy has scored in the first inning, a total of 82 runs . . . Howard’s homer ended a streak of 26 consecutive scoreless innings for the Phillies at home. It was career #377, tying Norm Cash and Jeff Kent for 73rd place on the all-time list . 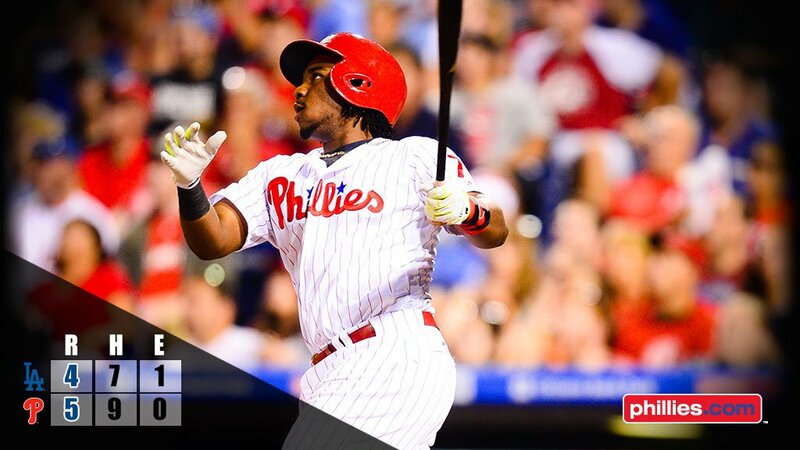 . . Maikel Franco, 0-4; retired on the first pitch every time, including grounding into the game-ending double play. 2B Grenny Cumana, Lakewood… The 20-year-old batted .476 (10-21) with a double, 2 RBI and 5 runs scored in 6 games. He had 3 consecutive multi-hit games, including his 4th 4-hit game of the season. The Venezuela native was signed by the Phillies as an amateur free agent on March 10, 2013. RHP Alberto Tirado, Lakewood… Tirado, 21, made 1 start, holding Greensboro to 1 run on 3 hits in 5.0 innings while striking out a career-high 11. He has struck out 9 batters or more in 4 of his last 5 starts. Tirado was acquired from Toronto along with right-hander Jimmy Cordero in exchange for outfielder Ben Revere on July 31, 2015. Reading: OF Osmel Aguila, activated from LV DL; C Joel Fisher, on DL. Lakewood: LHP Zach Morris, activated from DL. Lehigh Valley IronPigs (81-56), International League North Division. Season ends Monday. 2nd place, 3 games behind Scranton for Division title. 3.5-game lead over Rochester for the wildcard berth. Last 5 games: Thursday-Friday at Rochester; Saturday-Sunday-Monday vs. Rochester. Won, 2-0, over Pawtucket. WP: Phil Klein (5-1), 7-2-0-0-0-9. SV: Luis Garcia (12). DH Darin Ruf, 2 H, RBI, stretching hitting streak to a career-high 16 games. 3B Cody Asche, 2 H, including 2B . . . David Buchanan (8-9), 7:05 tonight vs. Pawtucket. Postseason: South winner meets West winner; wildcard (non-division winner with best winning percentage) meets North, best-of-5. Winners advance to the Governor Cup Championship, best-of-5. Reading Fightin’ Phils (86-49), Eastern League Eastern Division. Clinched postseason berth on Saturday. Reading has a 1.5 game lead on 2nd-place Trenton which has also clinched a post-season berth. Two teams end season with 4 games in Trenton, Friday through Sunday. Battle is for the home field advantage during the postseason. Scored 3 B7 for their 3rd straight win, 7-6 over Portland. WP: Jimmy Cordero (1-1). SV: Victor Arano (1). C Jorge Alfaro, 3 H, HR (14), 2 RBI. LF Christian Marrero, 2 H, 2 R. 2B Scott Kingery, 2 H. CF Aaron Brown, 2B, 3B, 3 RBI . . . Tom Eshelman (4-5), 6:35 tonight vs. Portland. Postseason: The top two teams in each division, best-of-5. Winners advance to championship round, best-of-5. Clearwater Threshers (41-24), Florida State League North Division. 2nd place, 2 games behind Dunedin, 2nd half. Two teams meet in the final four games of the season starting Thursday night. Season ends Sunday. Clearwater needs to win the 2nd half to reach the postseason. Winning streak reached 4 last night. . . Won Monday’s suspended game, 2-1, at Brevard County. WP: Newcomer Tommy Bergjans (1-0) in his debut, 6.2-3-1-1-1-5. SV: Tom Windle (1). Start of game was delayed 3:36 . . . 3-2 win in second game (7 innings). WP: Yacksel Rios (4-3); SV: Ulises Joaquin (10). CF Carlos Tocci, 4, H including 24th-25 2B, 2 RBI in 2 games . . . Elneiry Garcia (11-4), 6:35 tonight in Brevard County. Postseason: 1st and 2nd half division winners, best-of-3. Winners advance to championship, best-of-5. Lakewood BlueClaws (40-24), South Atlantic League North Division. 1st place, 3-game lead, 2nd half. Lakewood, which finished in 6th place in 1st half, needs to win the 2nd half to qualify for the postseason. Season ends Monday. Won, 3-2, over Kannapolis, 10th in last 11 games. WP: Harold Aruz (5-6), 6-44-2-2-0-4. SV: Scott McLoughlin (12). CF Mark Laird, 2 H; hitting .347. Wilson Garcia, 2 H, 2 RBI . . . Tyler Gilbert (7-8), 7:05 tonight vs. Kannapolis. Williamsport Crosscutters (35-34), New York-Penn League Pinckney Division. Eliminated from division title; tied for 3rd place, 5 games behind in the wildcard race. 6 games left. Season ends Monday. Coasted to a 10-3 win over Mahoning Valley. WP: Adonis Medina (5-3), 6-5-2-2-2-7. SV: Alexander Kline (3). 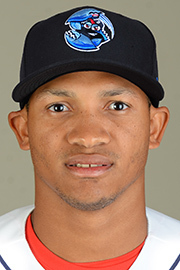 RF Jesus Alastre, 2 H, 2 R. LF Enmanuel Garcia, HR (4), 2 RBI. DH Luis Encarncion, HR (2), 3 RBI . . . Cole Irving (4-1), 7:05 tonight vs. Mahoning Valley. Postseason: Three Division winners and one wildcard team, best-of-3. Winners advance to championship, best-of-3. Gulf Coast League Phillies, (43-15), Northwest Division. Champions! Clinched the division title with a 5-1 win over Yankees West at Carpenter Complex. 9th win in last 10 games. Also clinched the best record in the league. Starter: Alec Asher, 3-2-1-1-1-4. WP: Luis Carrasco (7-2), 4-1-0-0-1-2. RF Jhailyn Ortiz, HR (8), 2 RBI. SS Cole Stobbe, 2 H, including 2B, RBI. Postseason: Four division winners qualify. Phillies will play the division winner with the lowest record; the other two division winners meet in a 1-game playoff. Winners advance to championship, best-of-3. 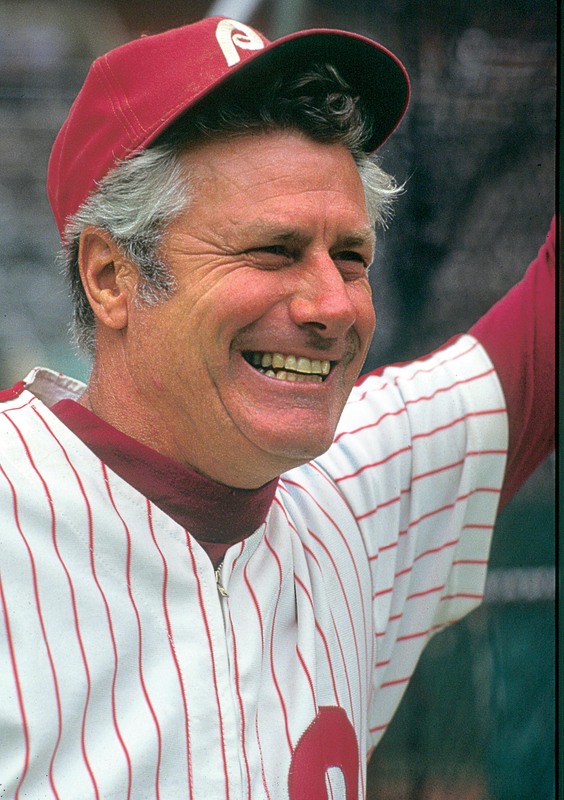 Farm director Dallas Green replaces Danny Ozark as the Phillies manager. Ozark finishes with a 594-510 record for six-plus seasons. LHP Al Holland picks up his eighth win out of the bullpen, 4-3, over visiting San Diego. Pirates, Phillies, Expos and Cardinals are in the race as September 1 rolls around. Difference between first and fourth place is two and a half games. 1980) during a 6-5 loss at Washington. Jake Thompson turned in his best start in his short major league career but Tanner Roark and the Nationals continued their dominance of the Phillies last night, 4-0. Thompson, adjusting his delivery to pitching out of the stretch, allowed two first-inning runs and then held the Nationals scoreless through the next six innings, yielding just five singles. Roark improved to 3-0 in four starts against the Phillies and lowered his ERA to 0.64. He’s tossed seven shutout innings eight times this season, most in the majors. Washington has won seven straight over the Phillies who had just four hits, all singles. It doesn’t get any easier tonight as Washington starter Max Scherzer is 6-1 in nine career starts vs. the Phillies. Thompson is the second Phillies starter to work seven innings since July 27. Jeremy Hellickson is the other . . . The Nats are 9-4 against the Phillies, 6-1 at Citizens Bank Park. The two teams meet nine more times . . . Phillies are 12-12 in August. LHP Scott Harris added to roster from Lakewood. Lehigh Valley IronPigs (80-56), International League North Division. Season ends Monday. 2nd place, 4 games behind Scranton for Division title. 3.5-game lead over Rochester for the wildcard berth. Last 5 games of the season are against Rochester. Lost, 3-2, in Buffalo, getting 7 singles. LP: Nick Pivetta (0-2), 4.2-7-3-3-4-3. Darin Ruf, 1-5, extending hitting streak to a career-high 15 games. CF Cameron Perkins, 2-4, scored both runs . . . Phil Klein (4-1), 7:05 tonight vs. Pawtucket. Reading Fightin’ Phils (85-49), Eastern League Eastern Division. Clinched postseason berth on Saturday. Reading has a 1.5 game lead on 2nd-place Trenton which has also clinched a post-season berth. Two teams end season with 4 games in Trenton, Friday through Sunday. Scored 7 runs in B2 in a 7-1 win over Portland. WP: Ricardo Pinto (6-6), 7-3-0-0-1-2. LF Christian Marrero, 3-5, R, 2 2B, 2 RBI. C Jorge Alfaro, 2-4, R, 2B, 2 RBI. RF Dylan Cozens, 1-4, 2 RBI (116). SS KC Serna, 2-4, R, RBI . . . John Richy (4-3), 6:35 tonight vs. Portland. Clearwater Threshers (39-24), Florida State League North Division. 2nd place, 3 games behind Dunedin, 2nd half. Two teams meet in the final four games of the season which ends Sunday. Clearwater needs to win the 2nd half to reach the postseason. Game in Brevard County was suspended after 1.5 innings with the Threshers leading, 1-0. Tommy Bergjans (0-0) is listed to start the 5:05 suspended game tonight. Regularly-scheduled game follows. Lakewood BlueClaws (39-24), South Atlantic League North Division. 1st place, 3-game lead, 2nd half. Lakewood, which finished in 6th place in 1st half, needs to win the 2nd half to qualify for the postseason. Season ends Monday.. Idle yesterday. 7:05 tonight vs. Kannapolis, the start of the final homestand. Williamsport Crosscutters (34-34), New York-Penn League Pinckney Division. Eliminated from division tile and in 5th place, 6 games behind in the wildcard race. Season ends Monday. Lost, 6-5, to Mahoning Valley in 10 innings. LP: Will Hibbs (3-4). 1B Darick Hall, 3-4, R.
CF David Martinelli, HR (#3), 3 RBI . . . Adonis Medina (4-3), 7:05 tonight vs. Mahoning Valley. Gulf Coast League Phillies (42-15), Northwest Division. 1st place, 2 games ahead of the Blue Jays. Season ends with games vs. Blue Jays on Wednesday (Dunedin) and Thursday (Clearwater). Won 8th in last 9 games, 6-3, over the Yankees West in Tampa. ND: Nick Fanti, 4-3-1-1-1-6. WP: Justin Miller (1-0). 2B Dan Brito, 2-3, R, 2b (10), RBI, 2 BB. CF Mickey Moniak, 2-5, R, SB (10). 3B Jose Antequera, 3-4, 2 R, 2 2B (12-13), RBI, SB. SS Cole Stobbe, 2-4, 2 R . . . 12 noon today vs. Yankees West at Carpenter Complex. Postseason: Four division winners qualify. Division winner with best record meets division winner with the lowest record and the other two division winners meet in a 1-game playoff. Winners advance to championship, best-of-3. With the Phillies leading, 8-6, in the top of the ninth inning, Baker Bowl fans in one bleacher section began to distract New York Giant batters by waving handkerchiefs, newspapers and straw hats. Umpire William Brennan forfeits the game to the Giants. NL President Thomas Lynch overrules Brennan and declares the Phillies the winners. New York appeals and the NL Board of Directors rule the game to be completed in New York on October 2. Phillies win, 8-6.
leader, 1,070). 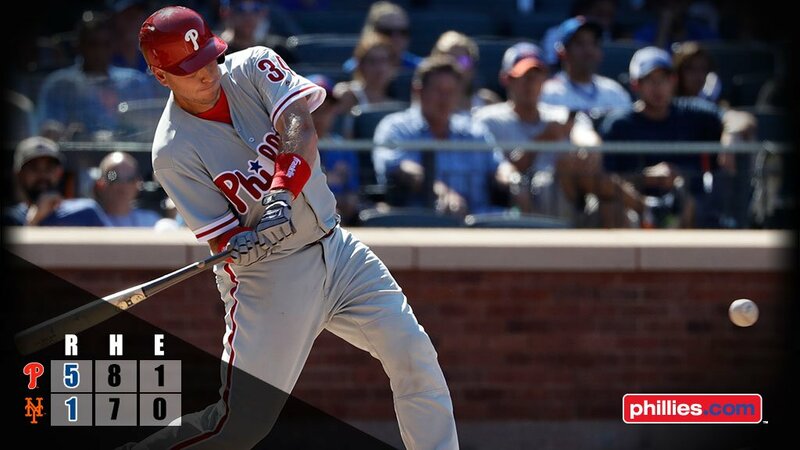 Phillies beat Giants, 7-5, at the Vet. Five Phillies pitchers kept the New York Mets in the park which paved the way for a 5-1 win Sunday, salvaging one weekend game in Citi Field. In cruising to wins in the first two games by a 21-5 margin, the Mets hit eight home runs. A.J. Ellis had a big game in his Phillies debut driving in two go-ahead runs with a bases-loaded double during a four-run seventh inning. After scoring the fourth run of that inning he was greeted with a parade of high fives by his new dugout teammates. Behind the plate he masterfully handled five different pitchers, none of whom he’d ever caught before. Over the last nine seasons (2008-16), Ellis has the lowest catchers ERA (3.31) among all Major League catchers. Starter Vince Velasquez lasted only five innings because of a 103-pitch count. He had a 27-pitch first inning allowing his lone run. After that, two singles, one walk and all seven of his strikeouts. It was a huge step forward. The 24-year-old right-hander had allowed 19 runs and 25 hits over his previous 16 1/3 innings. A three-game series against the Nationals at Citizens Bank Park starts tonight. 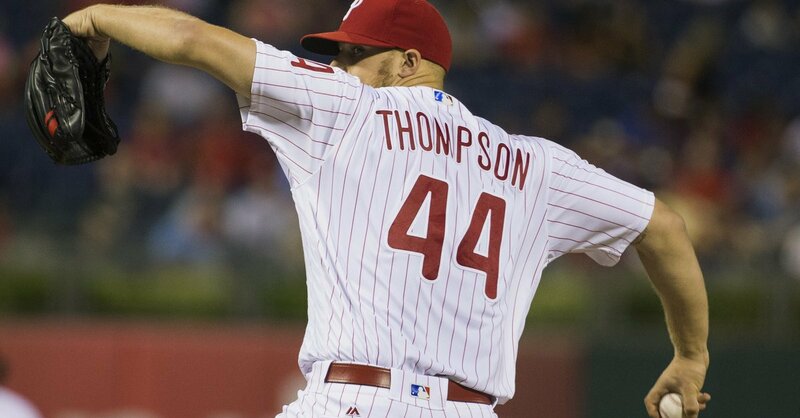 Jake Thompson will be on the mound, the 100th start by a Phillies pitcher 27 years old or younger this season. **Fresh from losing last 2 games in 3-game weekend vs. Rockies. **Riding a 6-game winning streak vs. Phillies. **Only the Cubs have a better NL record. **3.48 ERA is second-lowest to the Cubs (3.14). **Dominating the NL East (35-16). Reading: CF Roman Quinn, placed on DL (concussion); LF Andrew Pullin, placed on DL (right elbow strain); OF Andrew Brown, added from Clearwater. Lehigh Valley IronPigs (80-55), International League North Division. Season ends Monday, September 5. 2nd place, 4 games behind Scranton for Division title. 4.5 game lead over Rochester for the wildcard berth. Last 5 games of the season are against Rochester. Won 2 of 3 in Buffalo . . . 4-3 L on Friday, David Buchanan (8-9) . . . 12-2 W on Saturday. WP: Anthony Vasquez (4-0) . . . 5-2 W on Sunday. WP: Ben Lively (10-5); 17-5 combined AA-AAA this season . . . LF-3B Cody Asche, 4 H, HR (5), 5 RBI. 1B-LF-DH Darin Ruf, 5 H, 2 2B, 2 RBI; 14-game hitting streak. C Andrew Knapp, 5 H, 2 2B, 4 RBI. 1B-DH Brock Stassi, 4 H, 2B, 2 RBI . . . Nick Pivetta (0-1), 7:05 tonight at Buffalo. Reading Fightin’ Phils (84-49), Eastern League Eastern Division. Clinched postseason berth on Saturday. Reading has a 1.5 game lead on 2nd-place Trenton which also clinched a post-season berth. Two teams end season with 4 games in Trenton, Friday through Sunday. Ended series vs. New Hampshire with 7-6 win Sunday after 5-2 L Friday and 5-3 L Saturday. LPs: Tom Eshelman (4-5), Miguel Nunez (4-3) . . . ND Sunday: Mark Leiter Jr., 6.1-3-3-3-2-4; lost a no-hitter on a HR with 1 out in T7; retired 19 of 1st 21 batters, issuing both walks in T1. WP: Jesen Thierren (1-0); SV; Nunez (17). DH Jake Fox, HR Sunday (21-22). 1B Rhys Hoskins, HR Friday-Saturday (36-37). 2B Scott Kingery, 5 H weekend . . . Ricardo Pinto (4-5), 6:35 tonight vs. Portland. Clearwater Threshers (39-24), Florida State League North Division. 2nd place, 2.5 games behind Dunedin, 2nd half. Two teams meet in the final four games of the season which ends Sunday. Clearwater needs to win the 2nd half to reach the postseason. Won 2 of 3 in Daytona Beach . . . 11-4 L Friday, Luke Leftwich (3-4) . . . 6-2 W Saturday, William Morris (9-3) . . . 6-5 W Sunday, Ulises Joaquin (3-2). RF Jiandido Tromp, GW HR T9 (#9) . . . OF Zach Coppola, 5 H, 4 RBI, 3 SB weekend . . . 1B Kyle Martin, HR (19), Sunday . . . Brandon Leibrandt (3-1), 6:35 tonight in Brevard County. Lakewood BlueClaws (39-24), South Atlantic League North Division. 1st place, 3-game lead, 2nd half. Lakewood, which finished in 6th place in 1st half, needs to win the 2nd half to qualify for the postseason. Season ends Monday, September 5. Won 2 of 3 in West Virginia, final road games . . . 4-2 W Friday, Seranthony Dominquez (4-2); SV: Grant Dyer (1) . . . 5-4, 10-inning L Saturday ended an 8-game winning streak . . . 4-3, 13-inning W Sunday, WP: Ismael Cabrera (2-1). SV: Scott Harris (1). 3B-1B Damek Tomscha, 5 H, 4 RBI; drove in 2 runs T1 on Sunday and won game with RBI 1B in T13 . . . CF Mark Laird, 4 H . . . Day off today. Final homestand begins tomorrow night. Williamsport Crosscutters (34-33), New York-Penn League Pinckney Division. Eliminated from division tile and in 3rd place, 5 games behind in the wildcard race. Season ends Monday, September 5. Lost 2 of 3 to Brooklyn . . . 1-0 L Friday, JoJo Romero (2-2) . . . 8-2 W Saturday, Felix Paulino (2-4); SV: Tyler Hallead (1) . . . 2-1 L Sunday, Ranger Suarez (5-4). 4 ejections in 8th inning, 2 for each team . . . 1B Darick Hall, 4 H, 2 2B, HR (6), 4 RBI . . . Bailey Falter (1-6), 7:05 tonight vs. Mahoning Valley. Gulf Coast League Phillies, (41-15), Northwest Division. 1st place, 2 games ahead of the Blue Jays. Season ends Thursday. Last two games are against the Blue Jays. Split two games vs. Tigers West . . . 3-2 W Friday, Luis Gonzalez (4-0). SV: Jose Nin (7) . . . 3-0 L Saturday in Lakeland, getting just 3 hits . . . LF Josh Stephen, HR (2), 2 RBI Friday . . . 12 noon vs. Yankees West in Tampa. (A special Phillies Insider was posted last evening after Carlos Ruiz was traded. It now follows today’s post, in case you missed it). Pitching can be so fragile. Among the clubs that are experiencing that this season are the Phillies and Mets who begin a three-game weekend series tonight in Citi Field. The Mets made it all the way to the World Series a year ago with a rotation of Matt Harvey, Noah Syndergaard, Jacob deGrom, Bartolo Colon, Jon Niese and Steven Matz. A chance to win the pennant again went out the window as Harvey and Matz wound up on the DL; Niese was traded, returned and is on the DL and deGrom has struggled lately. They’ve been hit hard with injuries at other positions, too, losing 3B David Wright and 1B Lucas Duda for the season. So, a pennant chase has been replaced by a scramble for a wildcard berth. The Phillies’ year of building centered around a couple of veteran starters, Jeremy Hellickson and Carl Morton, and the young arms of Vince Velasquez, Aaron Nola and Jeremy Eickhoff with three more young ones coming into the mix, Adam Morgan, Zach Eflin and Jake Thompson. Only Eickhoff has remained healthy and hasn’t missed a start. Morton, Nola and Eflin are done for the season. Velasquez, Morgan and Thompson have had struggling starts. The Phillies are 4-5 vs. the Mets, 2-1 at Citi Field. Those three were the Mets first home games, April 8-9-10 . . . Two teams have a four-game series in Citi in September and close the season with three games at Citizens Bank Park . . . Cesar Hernandez is 12-31, .387, in his brief career at Citi Field . . . Ryan Howard has 10 HR, 42 at Citi and had 12 HR, 30 RBI at Shea Stadium . . . ICYMI: Kevin Stocker is pinch-hitting for LA on the Phillies radio broadcasts this weekend. Five things to know about the Mets. **487 runs scored rank 13th in the NL. **3.66 ERA ranks 3rd best. **17-22 since the All-Star Game. **Granderson has 20 HR, 34 RBI. Lehigh Valley IronPigs (78-54), International League North Division. 2nd place, 5 games behind Scranton/Wilkes-Barre. Season ends September 5. Riding 4 home runs, LV won 6-1, in Pawtucket. WP: Phil Klein (4-1), 7.2-5-1-1-1-7. HRs: 1B Darin Ruf (20), LF Cody Asche (4), C Logan Moore (4), DH Brock Stassi (12); Ruf also had 2 1B . . . David Buchanan (8-8), 7:05 tonight in Buffalo. Postseason: South winner meets West winner; wildcard (non-division winner with best winning percentage) meets North, best-of-5. Winners advance to the Governor Cup Championship, best-of-5 . . . IronPigs have 4.5 game lead over Rochester for the wildcard berth. Reading Fightin’ Phils (83-47), Eastern League Eastern Division. 2.5-game lead over Trenton with 11 games remaining. Season ends September 5. Ended 4-game losing streak, 6-1, over New Hampshire. WP: John Richy (4-3), 8-4-1-1-0-4. CF Roman Quinn, 1B, 2b (12), HR (6), 2 RBI, 2 R . . . Tom Eshelman (4-4), 7:05 tonight vs. New Hampshire. behind, 2nd half; 10 games remain. Season ends September 4. Defeated Brevard County, 5-2. WP: Elniery Garcia (11-4), 7-3-2-2-1-7; retired 1st 11 hitters. SV: Ulises Joaquin (9). LF Jiandido Tromp, HR (8), 2 RBI; hit 9 HR at Lakewood before promotion . . . Luke Leftwich (3-3), 7:05 tonight in Daytona Beach. 8 of last 10 games are on the road. Postseason: 1st and 2nd half division winners, best-of-3. Winners advance to championship, best-of-5. To qualify, Clearwater needs to win the 2nd half. They finished 2nd in the 1st half. Lakewood BlueClaws (36-23), South Atlantic League North Division. 1st place, 4-game lead; 10-games remain in 2nd half. Season ends September 5. Won 7th in a row, 16 in last 20 games, 4-2, over Greensboro. WP: Alberto Tirado (6-1), 4th straight W, 5-3-1-1-4-11; career-high in SO. SV: Sutter McLoughlin (11). 4 BlueClaw pitchers combined for 20 strikeouts. CF Mark Laird, 2 H, R, 2B, RBI; hitting .417 in last 10 games. LF Cornelius Randolph, 2 H, R, 3B, RBI, BB; 6-game hitting streak. 2B Grenny Cumana, 2 H, R; 8-13 in last 3 games. SS Emmanuel Marrero, 2 H, R, RBI; .367 in last 10 games . . . Seranthony Dominquez (3-2), 7:05 tonight in West Virginia. 3 weekend games there are the final road games. Lakewood’s 22-13 road record is best in the SAL. Postseason: 1st and 2nd half division winners, best-of-3. Winners advance to championship, best-of-5. Lakewood, which finished in 6th place in 1st half, needs to win the 2nd half to qualify for the postseason. Williamsport Crosscutters (33-31), New York-Penn League Pinckney Division. 2nd place, 9.5 games behind State College. Season ends September 5. Lost, 4-3, in 10 innings in West Virginia. ND: Cole Irvin, 5-3-3-1-3-3. LP: Will Hibbs (3-3). CF David Martinelli, 2 H, RBI, SB. 2B Luis Espiritu Jr. atoned for 3 errors with 2-run double that tied the game T9 . . . JoJo Romero (2-1), 7:05 tonight vs. Brooklyn. Postseason: Three Division winners and one wildcard team, best-of-3. Winners advance to championship, best-of-3. In the wildcard race, Cutters are in 4th place, 4 games behind. Gulf Coast League Phillies, (40-14), Northwest Division. 1st place, 2 games ahead of the Blue Jays. Season ends September 1. Defeated Blue Jays for 2nd straight day. This time, 7-2. 6th straight win, 9th in last 11 games. 19-4 this month. WP: Jordan Kurokawa (1-2). CF Mickey Moniak, 1B, 2 2B (11), 3B (4), RBI, 3 R. C Lenin Rodriguez, 3 H. 2B Jose Antequera, 2 H, R, BB. 3B Danny Zardon, 1 H, 2 R, 2 RBI . . . 12 noon today Tigers West at Carpenter Complex. 10 a.m. tomorrow vs. Tigers West in Lakeland. After that 4 games remain. Postseason: Division winner with best record meets division winner with the lowest record and the other two division winners meet in a 1-game playoff. Winners advance to championship, best-of-3. Phillies need to win the division to quality for the postseason. 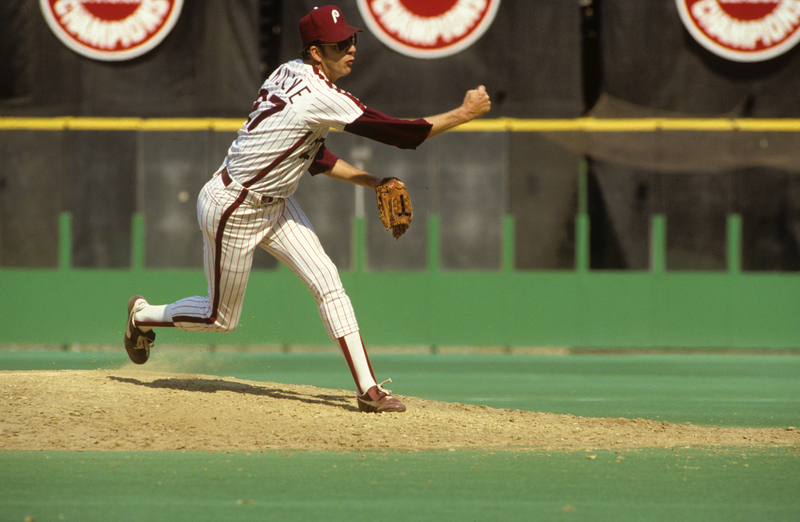 LHP Dan Plesac records 1,000th strikeout in the seventh inning of 4-3 Phillies win over Montreal at Veterans Stadium. The next night, Plesac appears in 1,000th game. Given a little run support, Jared Eickhoff was able to make it through his biggest obstacle, the sixth inning. Entering last night’s game in Chicago, he had given up 22 runs in 18 six innings. After allowing one hit through five innings, the White Sox sixth began with a single, home run and single. Eickhoff settled in and retired the next three. He’s emerging as a solid building block in the future rotation. The right-hander left after that inning up 4-2, throwing a very economical 71 pitches. The seventh-eighth and ninth-inning specialists, Edubray Ramos, Hector Neris and Jeanmar Gomez, closed it out although the White Sox scored one in the ninth off the Phillies closer. Cesar Hernandez and Tommy Joseph each had a double and a home run. Joseph has 23 homers this season, 17 with the Phillies and six at Lehigh Valley. That’s career high. Playing at San Jose in 2011, his second pro year, he hit 22. Phillies flew to New York after the game and will have a day off today in the Big Apple. Three-game series with the Mets starts on Friday night . . . Larry Andersen will have the weekend off. Working with Scott Franzke on radio will be Kevin Stocker, one of the “sane” members of the wild 1993 Phillies. Stocker has been broadcasting college baseball the last two years on the Pac-12 Network after 12 years on the CBS Sports Networks. Lehigh Valley IronPigs (77-54), International League North Division. 2nd place, 5 games behind Scranton/Wilkes-Barre. Season ends September 5. Lost, 10-4, at Pawtucket. 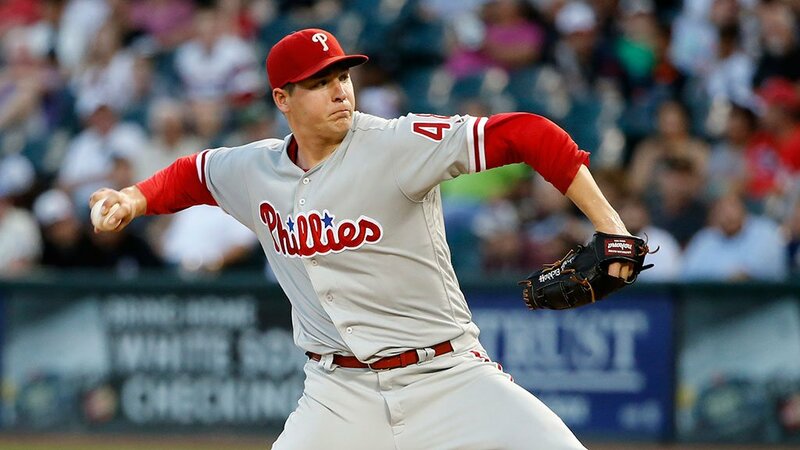 LP: Nick Pivetta (0-1), 4-4-2-2-1-6. 2B Taylor Featherston, HR (13). LF Darin Ruf, HR (19), 2 RBI, 10-game hitting streak . . . Phil Klein (3-1), 7:05 series finale tonight in Pawtucket. Reading Fightin’ Phils (82-47), Eastern League Eastern Division. 1.5-game lead over Trenton. Season ends September 5. Lost 4th in a row, 4-3, at Akron, getting just 4 hits. 1st time they have been swept in a series. Meanwhile, 2nd-place Trenton has won 4 in a row. LP: Ricardo Pinto (5-6), 4.2-4-4-4-4-1. C Gabriel Lino, HR (2). CF Roman Quinn, HR (5) . . . John Richy (3-3), 7:05 tonight vs. New Hampshire. 1st game of final homestand (8 games). Postseason: Even though their lead is down to 1.5 games, the top two teams in each division, best-of-5. Winners advance to championship round, best-of-5. behind, 2nd half. Season ends September 4. Lost, 5-3, to Brevard County. ND: Shane Watson, 5-5-2-1-2-4. CF Carlos Tocci, 3-4, R, 2B, RBI. SS Malquin Canelo, 2-4, 2 R, HR (4), RBI . . . Elniery Garcia (10-4), 7:00 tonight vs. Brevard County. Lakewood BlueClaws (35-23), South Atlantic League North Division. 1st place, 3-game lead; 12-games remain in 2nd half. Season ends September 5. Banging out 16 hits, Lakewood squashed Greensboro, 13-0, 6th straight win and 15th in last 19 games. WP: Tyler Gilbert (7-8), 5-3-0-0-0-6. 2B Grenny Cumata, 4-5, 3 R, 2B (21), RBI; his 4th 4-hit game of the season. SS Emmanuel Marrero, 3-4, 2 R, 2B, 2 RBI. CF Mark Laird, 2-3, R, 2B, 2 RBI, BB. RF Jose Pujols, 2-5, R, 2B (21), RBI . . . Alberto Tirado (5-1), 6:35 tonight vs. Greensboro. Williamsport Crosscutters (33-30), New York-Penn League Pinckney Division. 2nd place, 8.5 games behind State College. Season ends September 5. Lost, 6-2, at West Virginia. LP: Adonis Medina (4-3), 5-5-5-5-3-4. 1B Darick Hall, 2-3, R, 2B. C Gregori Rivero, 2-4, 2B, 2 RBI . . . JoJo Romero (2-1), 7:05 tonight in West Virginia, final game of the series and short road trip. Postseason: Three Division winners and one wildcard team, best-of-3. Winners advance to championship, best-of-3. In the wildcard race, Cutters are in 3rd place, 3 games behind. Gulf Coast League Phillies, (39-14), Northwest Division. 1st place, 1 game ahead of the behind Blue Jays. Season ends September 1. Move into 1st place over the Blue Jays by beating them, 9-4, in Dunedin; 5th straight win and 8th in last 10 games. WP: Sixto Sanchez (5-0), 6-2-0-0-0-5, 0.50 ERA, lowest in league. 3B Danny Zardon, 3 H, 2 2B, 2 R. SS Cole Stobbe, HR (4), 2 RBI; all 4 HR in last 8 G. C Rodolfo Duran, 2 H, HR (3), 4 RBI . . . Same two teams meet again at 12 noon today at Carpenter Complex. After scoring 10 runs in the second inning and 14 in the fourth, Chicago hangs on to beat the visiting Phillies, 26-23, in baseball’s highest-scoring game ever. The Phillies rally with eight in the eighth and six in the ninth. 13 different Phillies score a run, a club record. 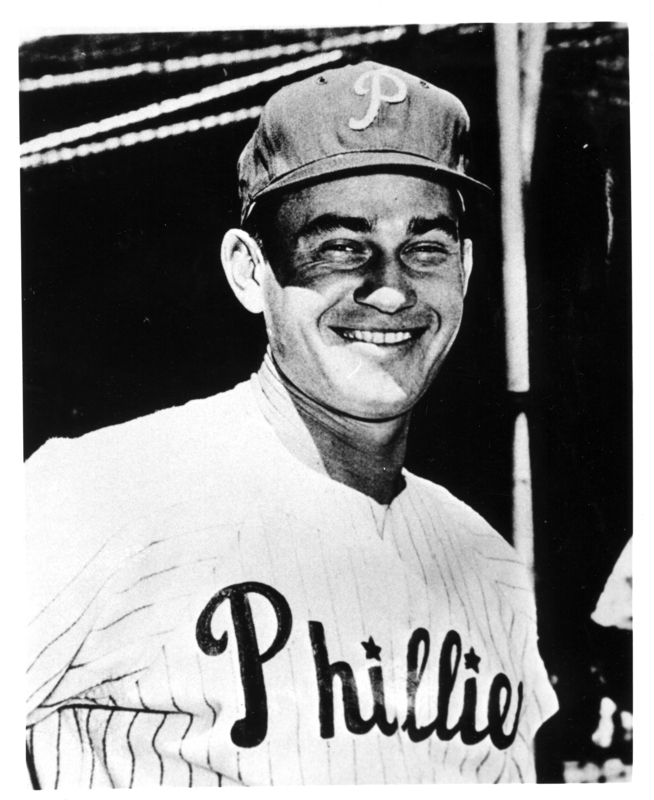 Before a double header with St. Louis, the Phillies honor Del Ennis for driving in more runs than any player in team history. Ennis is presented with gifts including a Cadillac, TV, air conditioner, freezer, diamond ring, and fishing outfit. The Phils win both games, with Ennis adding 4 to his record total. If the Phillies don’t return to U.S. Cellular Field for another 12 years, that’ll suite them just fine. The only other time they played there was 2004. The Phillies lost 14-10, won 13-11 and lost 9-8. Last night, 9-1 defeat. The White Sox entered last night’s game with the fewest runs scored in the American League. Now, the good news. Tonight is the last game in the White Sox yard, hopefully for 12 years. Young Jake Thompson was roughed up again, seven runs in five innings. Pitching behind in the count, he allowed eight hits, including two triples and two home runs. Phillies pitchers have given up 38 doubles and 41 home runs this month. Their ERA is over 6.00. Yet the Phillies are 10-9 in August . . . Freddy Galvis’ home run in the seventh ended a 17-inning scoreless streak. 1B/OF, Darin Ruf, Lehigh Valley… Ruf, 30, batted .400 (10-25) with 2 doubles, 3 home runs, 8 RBI, an .840 slugging percentage and a 1.284 OPS in 7 games. Ruf is leading the International League with a .524 slugging percentage. For the AAA season, .288, 18 HR, 59 RBI in 87 games. Hitting .361 in last 10 games. He was selected by the Phillies in the 20th round of the June 2009 draft out of Creighton University. RHP Drew Anderson, Clearwater… The 22-year-old started 2 games, combining to throw 10.0 scoreless innings with just 6 hits allowed. He struck out 12 and walked 2. He has a 1.69 ERA (6 ER, 32.0 IP) and 36 strikeouts with the Threshers. He began the season on May 22 at Lakewood (1-3, 3.38) and was promoted to Clearwater on July 2. Anderson was selected by the Phillies in the 21st round of the June 2012 draft out of Galena (NV) High School. Missed entire 2015 season and part of this season with an elbow injury. Reading: LHP Mario Hollands placed on DL. Lehigh Valley lronPigs (77-53), International League North Division. 2nd place, 4 games behind Scranton/Wilkes-Barre. Season ends September 5. Blanked Scranton/Wilkes-Barre, 8-0. WP: Ben Lively (9-5), 6-1-0-0-0-1. Cody Asche started at 1B, 1-4, 2 RBI, extending hitting streak to 11 games. LF Darin Ruf, 1-3; hitting streak at 9 games. 2B Jesmuel Valentin, 1B, HR (2), 2 R, 2 RBI. DH Brock Stassi, 1B, 2B (24), R, RBI, BB. CF Nick Williams, 1B, 2B (31), R . . . Nick Pivetta (0-0), 7:05 tonight in Pawtucket. Reading Fightin’ Phils (82-46), Eastern League Eastern Division. 2.5-game lead over Trenton. Season ends September 5. Lost 3rd in a row, 4-1, in Akron getting 8 singles. LP: Mark Leiter (6-3), 5.2-8-4-3-1-5. LF Andrew Pullin, 2 H, BB. 2B Scott Kingery, 2 H, RBI . . . Ricardo Pinto (5-5), 7:05 tonight in Akron, end of 6-game road trip. Postseason: Top two teams in each division, best-of-5. Winners advance to championship round, best-of-5. Blanked Brevard County, 3-0; each team had 4 hits. 2nd straight shutout, extending scoreless streak to 24 innings. WP: Brandon Leibrandt (3-1), 5-2-0-0-3-6; walked 1st batter and picked him off 1st base. SV: Matt Hockenberry (7). 1B Kyle Martin, HR (18), 2 RBI . . . Shane Watson (4-5), 7:00 tonight vs. Brevard County. Lakewood BlueClaws (35-23), South Atlantic League North Division. 1st place, 3 game lead; 12-games remain in 2nd half. Season ends September 5. Won 14th in last 18 games, 6-1, vs. Greensboro, WP: Harold Arauz (4-6), 6-4-1-1-0-7. SV: Edgar Garcia (2). LF Cornelius Randolph, 2 H, RBI, R; 3rd straight 2-hit-game. 2B Grenny Cumana, 2 H, R, SB (16) . . . Tyler Gilbert (6-8), 7:05 tonight vs. Greensboro. Williamsport Crosscutters (33-29), New York-Penn League Pinckney Division. 2nd place, 8.5 games behind State College. Season ends September 5. Won, 4-3, at West Virginia, scoring 2 in the 1st and 9th innings. ND: Bailey Falter, 5-6-0-0-1-4. 1B Darick Hall, 3 H, including 2 2B, RBI. LF Juan Luis, 3 H, including 3B, SB. LF Jesus Alstare, 2 H, 2 R, RBI, SB . . . Adonis Medina (4-2), 7:05 tonight in West Virginia.
. . . Bailey Falter (1-6), 7:05 tonight in West Virginia. Postseason: Three Division winners and one wildcard team, best-of-3. Winners advance to championship, best-of-3. In the wildcard race, Cutters are in 3rd place, 2 games behind. Gulf Coast League Phillies, (38-14), Northwest Division. 2nd place, .009 behind Blue Jays. Season ends September 1. Won 4th straight, 7-4, over Pirates. Alec Asher, started, 1-1-1-0-0-1; WP: Luis Carrasco (6-2), 4.2-3-2-2-7. SV: Tyler Frohwirth (9). LF Josh Stephen, 2 H, R, RBI. C Lenin Rodriguez, 2 H, including HR (1), R, RBI. 3B Danny Zardon, 3B, 3 RBI . . . 12 noon today vs. Blue Jays at Carpenter Field. Same two teams at Carpenter Field on Thursday in battle for 1st place. Teams meet again in final 2 games of the season. CF Cy Williams hit for the cycle, but the Phils lost to Pittsburgh 10-4 at Forbes Field. Interleague play has some natural rivalries, Dodgers-Angels, Mets-Yankees, White Sox-Cubs, A’s-Giants, Reds-Indians, Nationals-Orioles. Then there are rare oddities such as the Phillies and White Sox who play a mini two-game series in Chicago starting tonight. 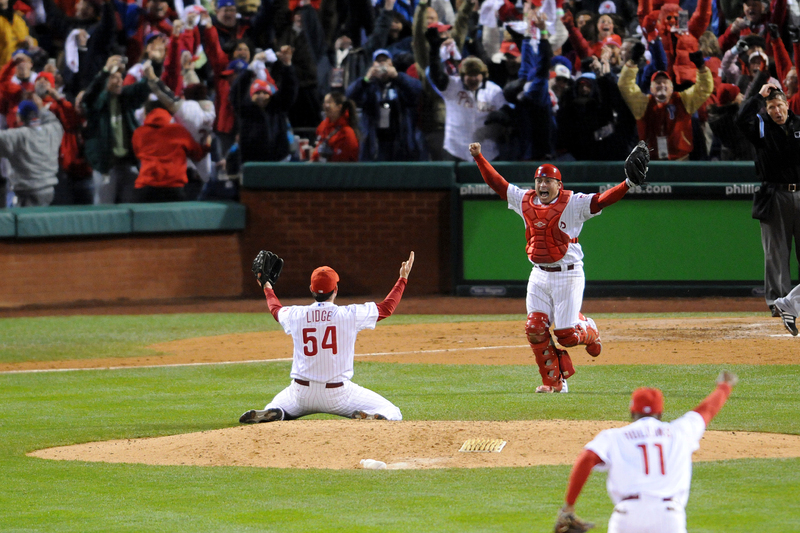 Since interleague play began in 1997 these two teams have met 12 times with Phillies winning seven. 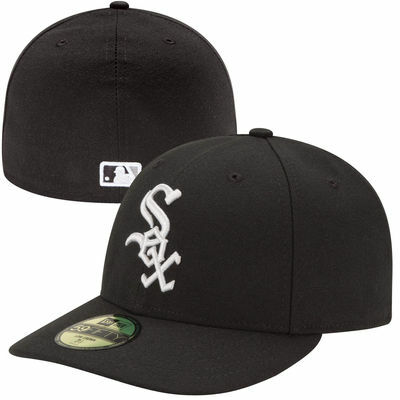 What’s really rare….this is only the second time they have played in U.S. Cellular Field. Two games were played there in June of 2004. A third was postponed and played that August 30 before 5,747 fans. The White Sox won two of three slugfests. Final tally in runs: White Sox 33, Phillies 32. Jim Thome hit four homers and drove in 10 runs in three games for the Phillies. Phils’ designated hitters were Jason Michaels, Ricky Ledee and Thome. The other nine games between the two teams were in Philly, three at the Vet (2002) and six at Citizens Bank Park (2007 & 2013). White Sox visit CBP again for two games, September 20-21. Thome is now a special assistant to the Senior VP/General Manager. Guess we know who he will be rooting for. Oh, in case you are wondering, milk was $3.75 per gallon and gas, $2.10 per gallon in 2004. Diapers, $2.59 but don’t know if that was the cost for one or by the pound. Assume the diapers were clean. **8-8 in interleague play, same record as the Phillies. **23-10 on May 9; 36-53 since. **14-21 since the All-Star Game. 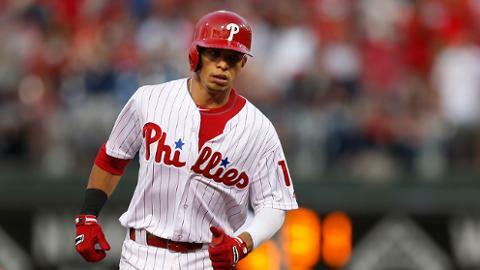 **493 runs scored rank last in A. L.
**414 walks issued are second-most in A. L.
Peter Bourjos (3-10) and Jimmy Paredes (2-9) are only Phillies who have batted in U.S. Cellular Field . . . Phillies leading hitters on the road are Cesar Hernandez (.321) (photo), Odubel Herrera (.296) and Cameron Rupp (.292) . . . Ryan Howard has 195 homers at home, 181 on the road. 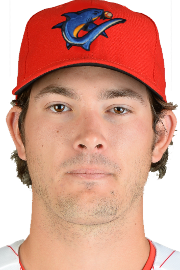 Lehigh Valley, added INF Taylor Featherston; released OF David Lough. Reading, LHR Joey DeNato transferred from Clearwater. Lehigh Valley IronPigs (76-54), International League North Division. 2nd place, 5 games behind Scranton/Wilkes-Barre. Season ends September 5. Lost, 5-3, to SWB. LP: Hoby Milner (0-1). LV had 7 singles, 1 triple, 12 LOB. Darin Ruf, 2-5, RBI. SS J.P. Crawford, 0-2, R, RBI, 3 BB . . . Ben Lively (8-5), 7:05 tonight vs. Scranton in final regular season game between the clubs. Reading Fightin’ Phils (82-45), Eastern League Eastern Division. 4.5-game lead over Trenton. Season ends September 5. Lost, 5-2, at Akron. LP: Tyler Viza (4-5), 6-8-3-3-2-5. 3B Mitch Walding, 2 of Reading’s 6 hits and the lone extra-base hit, HR (3). Walding had 9 HR at Clearwater before promotion . . . Mark Leiter (6-2), 7:05 tonight in Akron. Season resumes 7:00 tonight vs. Brevard County, Brandon Leibrandt (2-1). Postseason: 1st and 2nd half division winners, best-of-3. Winners advance to championship, best-of-5. To qualify, Clearwater needs to win the 2nd half. Lakewood BlueClaws (34-23), South Atlantic League North Division. 1st place, 3 game lead, 2nd half. Season ends September 5. Won Sunday’s suspended game, 9-6, and the regularly-scheduled game, 3-1, in Delmarva to stretch winning streak to 7 games . . . Suspended game: WP Scott Harris (1-0). SV: Sutter McLoughlin (10). Grant Dyer, 5-3-1-1-0-5 . . . Regular game: WP Jose Taveras (7-6), 5-3-1-1-2-9. SV: Jacob Waguespage (6). RF Jose Pujols, 3-4, HR (24), 2 RBI . . . LF Cornelius Randolph, 4-9, 4 RBI . . . CF Mark Laird, 2-7, 2 R, 2 BB, SB . . . Harold Arauz (3-6), 7:05 tonight vs. Greensboro. Postseason: 1st and 2nd half division winners, best-of-3. Winners advance to championship, best-of-5. Lakewood needs to win the 2nd half to qualify for the postseason. Williamsport Crosscutters (32-29), New York-Penn League Pinckney Division. 2nd place, 8 games behind State College. Season ends September 5. Postseason: Three Division winners and one wildcard team, best-of-3. Winners advance to championship, best-of-3. In the wildcard race, Cutters are in 3rd place, 2.5 games behind. Gulf Coast League Phillies, (37-14), Northwest Division. 2nd place, .010 behind Blue Jays. Season ends September 1. Improved August record to 16-4 with a 4-2 win over the Pirates in Bradenton. WP: Will Stewart (2-2), 5-3-0-0-1-4. 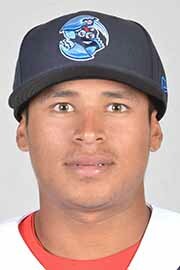 SV: Jose Nin (6); 13 G, 14.2 IP, 8 H, 2 R, 0 ER, 5 BB, 12 SO. SS Cole Stobbe, 2-3, 2B (7), HR (3), 2 RBI; last 3 G, 5-9, 3 R, 2 HR, 4 RBI. RF Malvin Matos, HR (2), SB . . . 12 noon today vs. Pirates at Carpenter Complex. Phillies are charged with 27 errors in a game against Providence (walks, wild pitches and passed balls were charged as errors prior to 1888). unassisted triple play in bottom of ninth inning to end the game. It is the 15th unassisted triple play in MLB history but only the second to end a game. After the Cardinals powered their way to two wins over the weekend, it’s sort of hard to believe the Phillies finished the nine-game homestand with a 5-4 record. The Phillies came close to winning two weekend games but Jeanmar Gomez gave up a two-run homer to Jedd Gyorko with one out in the ninth to tie the game on Friday night. St. Louis won in 11 innings. Ironically, the same scenario came up Saturday night…a two-run lead in the 9th facing the same St. Louis hitters. This time Gomez got Gyorko to bounce into a game-ending double play. St. Louis hit seven home runs in the three games to pad their National League lead. Over the nine games, the enemy went deep 24 times, the Phillies 13. The Phillies’ streak of homering in 14 straight games ended Sunday. Jeremy Hellickson became the Phillies first 10-game winner on Saturday night since Kyle Kendrick was 10-13 in 2014 . . . The Phillies are 10-8 in August with eight games remaining . . . Phillies flew to Chicago after the game and have a day off in the windy city today. Two-game series against the White Sox starts Tuesday night . . . Phillies are 8-8 in interleague play . . . Another day off Thursday is followed by a weekend series against the Mets in New York. With two weeks left in their respective seasons all 6 Phillies minor league teams are in the running for postseason play. Lehigh Valley IronPigs (76-54), International League North Division. 2nd place, 4 games behind Scranton/Wilkes-Barre. Season ends September 5. Won a DH on Friday, lost Saturday and rained out on Sunday in Syracuse. That game was canceled as it was the last meeting of the two clubs . . . 4-3 W, Friday, 1st game-Phil Klein (3-1), 6.1-5-3-2-1-9; runs came in B7, snapping a scoreless streak of 18 innings . . . 3-2, 8-inning W, Friday, 2nd game-WP: Elvis Araujo (1-0) . . . Luis Garcia saved both games, #9-10 . . . 6-5 L on Saturday; Syracuse WP: Justin DeFratus (1-1). OF Cam Perkins, 5-13 weekend, 2B, RBI, SB . . . 1B/DH Brock Stassi, 3-8, HR (11), 3 RBI . 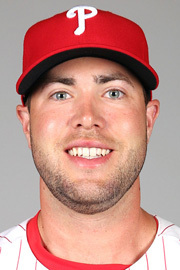 . . 1B-DH-LF Darin Ruf, 5-9, 2B, HR (18), 4 RBI. Anthony Vasquez (3-0), 7:05 tonight vs, 1st-place Scranton. Postseason: South winner meets West winner; wildcard (non-division winner with best winning percentage) meets North, best-of-5. Winners advance to the Governor Cup Championship, best-of-5 . . . IronPigs have the best record for a non-division winner. Reading Fightin’ Phils (82-44), Eastern League Eastern Division. 4.5-game lead over Trenton. Season ends September 5. Took 3 of 4 in Erie . . . Friday night, 9-1 W in July 31 suspended game (Reading led 2-0 after 1.5 Innings). WP: Ricardo Pinto (5-4), 8-5-1-1-3-4 . . . 10-6 in regularly scheduled game, WP: Alexis Rivero (1-1) . . . 5-2 on Saturday, WP: John Richy (3-3), 6-6-1-1-2-4. SV: Miguel Nunez (16) . . . 12-4 L Sunday, LP: Tom Eshelman (4-4), 3-10-8-6-1-4. RF/CF Dylan Cozens in DH Friday, 5-9, 2B (26), 2 HR (36-37), 6 RBI (114), SB (20); rest of weekend, 0-8, SB (21) . . . CF/RF Ramon Quinn, 4-14, in 3 games, 3B (6), HR (4), 2 RBI, 2 SB (28-29), 2 assists . . . C Jorge Alfaro, 4-9, in 2 games, 2 2B, HR (13), 4 RBI . . . LF Andrew Pullin on Sunday, 2B (9), 2 HR (9-10), 2 RBI. Tyler Viza (4-4), 7:05 tonight in Akron. Clearwater Threshers (35-22), Florida State League North Division. 2nd place, 2 games behind, 2nd half. Season ends September 4. Won 2 of 3 vs. Daytona . . . 8-3 L Friday: Elniery Garcia (10-4), 5-9-5-5-1-1 . . . 5-1 W Saturday: Will Morris (8-3), 5.2-4-1-1-2-4 . . . 15-0, 19-hit romp Sunday: Drew Anderson (2-1), 5-3-0-0-1-4. OF Zach Coppola, 8-13, weekend, 3 R, 2B, 3 RBI, 2 SB . . . OF Aaron Brown, 4-19, R, 2 2B, 3 RBI, 2 SB, 2 BB . . . C Chace Numata, had a 16-game hitting streak end Saturday night; was 5-6, 3 R, 2 RBI on Sunday . . . OF Jiandido Tromp, 4-4, 3 R, 2 2B, RBI on Saturday. Lakewood BlueClaws (32-23), South Atlantic League North Division. 1st place, 2 game lead, 2nd half. Season ends September 5. 2 wins and a suspended game on Sunday. Have won 5 of last 6, 11 of 15 . . . 8-2 Friday W: Alberto Tirado (5-1), 5-3-0-0-2-9; in last 4 starts, 35 SO in 21 IP . . . 4-2 Saturday W: Seranthony Dominquez (3-2), 6-2-1-1-1-9, career high SO; SV: Sutter McLoughlin (9). OF Mark Laird, 5-10, R, 2 RBI, SB . . . C-1B Wilson Garcia, 4-9 . . . 2B Grenny Cumana, 3-7, 3 R . . . SS Emanuel Marrero, 3-7, 2 R, 2 HR (3-4), 2 RBI . . . RF Jose Pujols, 23rd HR, new cub record; Jim Murray (2011) and Juan Richardson (2001) shared the old record. Bullpen in 5:05 tonight, complete the suspended game to be followed by the regularly-scheduled game in Delmarva, Jose Taveras. Williamsport Crosscutters (32-27), New York-Penn League Pinckney Division. 2nd place, 8 games behind State College. Season ends September 5. 2 wins and a Sunday rain out . . . 3-2 Friday W vs. State College, Cole Irvin (4-1), 5-3-2-2-1-4. SV: Blake Quinn (2), 4-1-0-0-2-7 . . . 4-3 Saturday W vs. Auburn, JoJo Romero (2-1), 6-8-2-2-0-5. SV: Will Hibbs (3). Weekend HR: 1B Brett Barbier (2), 2B Evan Rogers (1). Ranger Suarez (5-2) and Felix Paulino (1-3), 5:05 DH tonight vs. Auburn. Gulf Coast League Phillies, (36-14), Northwest Division. 2nd place, 1 game behind Blue Jays. Season ends September 1. 6-3 Friday W at Braves, Nick Fanti (7-0), 5-4-1-0-0-6. SS Cole Stobbe, 2 H, 2 R, HR (2), 2 RBI. DH Lenin Rodriquez, 2 H, R, RBI. 3B Raul Rivas, 2 H, R, RBI . . . 3-0 Saturday W vs. Braves, Mauricio Llovera (7-1), 5th straight W, 19 consecutive scoreless inning streak, 5-3-0-0-0-3. SV: Tyler Frohwirth (8) . . . 2B Dan Brito, 2B (9), HR (2), RBI. 12 noon today vs. Pirates in Bradenton. 1B Jim Thome hits 35th and 36th homers in 9-4 win in St. Louis to break Phillies club record for homers by a first baseman (34, Deron Johnson, 1971). Jared Eickhoff settled in after a rough start to keep the Phillies in the game and Maikel Franco delivered a two-run, game-winning homer in the seventh for a 5-4 come-from-behind Phillies win. Nine pitches into the game, Eickhoff trailed 3-0, as he gave up two singles and a homer. He allowed only one more run in his six innings, ending the streak of eight straight starts in which a Phillies starter didn’t get to the sixth. He now leads the staff with 149.2 innings. The bullpen of Michael Mariot, Hector Neris and Jeanmar Gomez retired all nine Dodgers, throwing a total of 35 pitches. Franco’s homer (#22) landed in the shrubbery behind the center field fence. Ryan Howard earlier sent one into the same area, his 19th. Phillies finished with an 18-15 record vs. the NL west . . . Howard’s homer was career #376, matching Carlton Fisk for 75th place on the all-time list . . . Ryan and Tommy Joseph have combined for 32 home runs, most in the majors at first base. . . Mariot has two wins in the majors, one over the Angels (with Royals in 2014) and last night against the Dodgers. He was born in the Los Angeles area . . . St. Louis, riding a four-game winning streak, follows for three weekend games. Cardinals took three of four from Phillies in their own yard back in early May . . . Fans will receive a replica Harry Kalas statue tomorrow night, courtesy of Toyota. **Road record (36-23) superior to home (28-33). **NL leader in home runs (166); 91 on the road. **Have used the DL 11 times since July 1. **18-21 at Citizens Bank Park. **Once won 20 in a row from Phillies, 7/15/27-7/20/28. Lehigh Valley IronPigs (74-51), International League North Division. 2nd place, 3.5 games behind Scranton/Wilkes-Barre. Season ends September 5. Reading Fightin’ Phils (79-43), Eastern League Eastern Division. 4-game lead over Trenton. Season ends September 5. Defeated Richmond, 6-3, and boarded a bus for a trip across the state for a weekend series in Erie. WP: Mark Leiter (6-2), 6-8-1-1-0-8. SV: Jimmy Cordero (1). CF Roman Quinn, 3 H, including 2b (11), R, RBI, BB. RF Dylan Cozens, 2B (35), RBI (108) . . . Ricardo Pinto (4-4), 4:35 this evening in Erie. Clearwater Threshers (33-21), Florida State League North Division. 3rd place, 2 games behind, 2nd half. Season ends September 4. Won, 3-2, in Tampa. WP: Luke Leftwich (3-3), 6.1-5-1-1-1-4; including Lakewood, he’s 10-6. SV: Matt Hockenberry (6). DH Jiandido Tromp, 1B, 3B, 2 RBI . . . Elneiry Garcia (10-3), 6:15 tonight vs. Daytona. Lakewood BlueClaws (30-23), South Atlantic League North Division. 1st place, 1 game lead, 2nd half. Season ends September 5. Lost, 4-2, to Hickory. Out-hit Hickory, 12-5, but were 1-15 RISP. ND: Tyler Gilbert, 5-4-2-2-1-4. 3B Damek Tomscha, 1B, 2 2B (27-28) . . . Alberto Tirado (4-1), 7:05 tonight in Delmarva. Williamsport Crosscutters (30-27), New York-Penn League Pinckney Division. 2nd place, 8.5 games behind State College. Season ends September 5. 5th straight loss was 5-4 to State College. ND: Adonis Medina, 4-5-2-2-1-1. Cutters had 8 H but struck out 12 times . . . 1B Darick Hall, 2 H, including 12th 2B . . . Cole Irvin (3-1), 7:05 tonight vs. State College. Gulf Coast League Phillies, (34-14), Northwest Division. 2nd place, 1 game behind Blue Jays. Season ends September 1. Lost, 4-1, when Yankees East scored 3 B8 in Tampa. ND: Sixto Sanchez, 5-4-1-1-0-6; 29 consecutive scoreless inning streak ended in the 1st inning. LF Josh Stephen, 4-12, in last 3 games, 2 RBI, 5th SB. CF Mickey Moniak, 9th 2B; leads club with .302 average. Sanchez, Stephen and Moniak are all 18 years of age . . . 12 noon vs. Braves in Orlando. Saturday, 10 a.m. vs. Braves at Carpenter Complex. Postseason: Division winner with best record meets division winner with the lowest record and the other two division winners meet in a 1-game playoff. Winners advance to championship, best-of-3. Phillies have 10 consecutive postponements, August 10-19. 54,288 are on hand when Phillies blank San Francisco, 3-0, at the Vet. 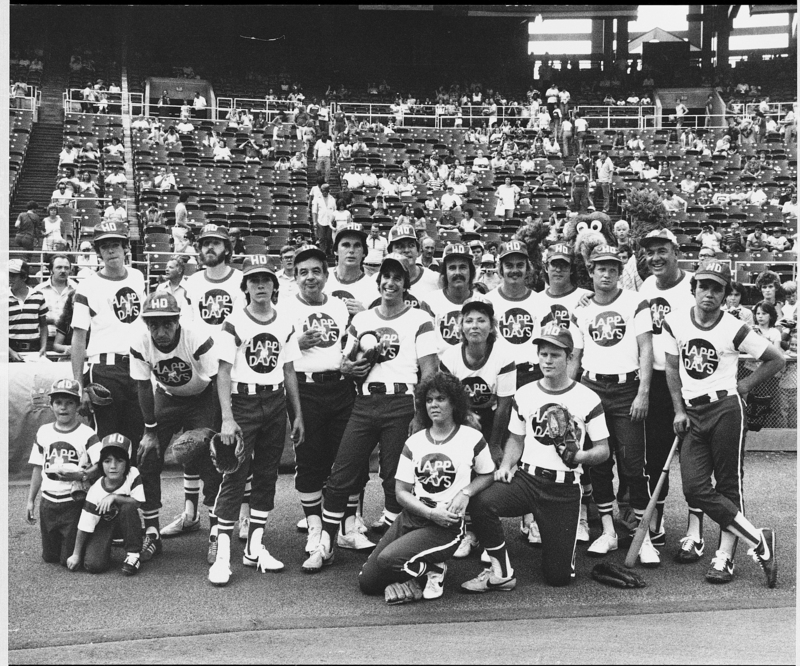 Happy Days softball team, featuring Henry Winkler, plays before the Saturday night game. For more daily phlashbacks visit http://www.phillies.com/alumni.